Dr. Katherine Soule has been the Youth, Families, and Communities Advisor since June 2013. 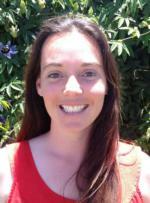 In this capacity, Katherine directs the UC CalFresh Nutrition Education, 4-H Youth Development, and Master Food Preserver programs in San Luis Obispo and Santa Barbara Counties. In 2013, she earned a Ph.D. from the Counseling and Human Services Department at the University of Georgia. Katherine obtained an M.S. in Agriculture and B.A. in English and Technical Communications from California Polytechnic State University. Katherine utilizes critical sociological analysis in her approach to research and addressing community needs.